This guest post is from Linda Kirkman a PhD student in Health Science at La Trobe University, researching baby boomers in ‘friends with benefits relationships’. This post is partly the story of Linda’s experience of walking an ancient pilgrimage route and beautifully extends our recent ‘why do a PhD? theme. A PhD is like a pilgrimage; a solitary journey where we value our companions. I did the walk for a number of reasons; for the adventure, the spiritual experience, and to try to let go of some personal baggage. I wanted a transformative experience; to feel a sense of freedom. It was the start of five weeks in what felt like an alternative universe, the world of the pilgrim. 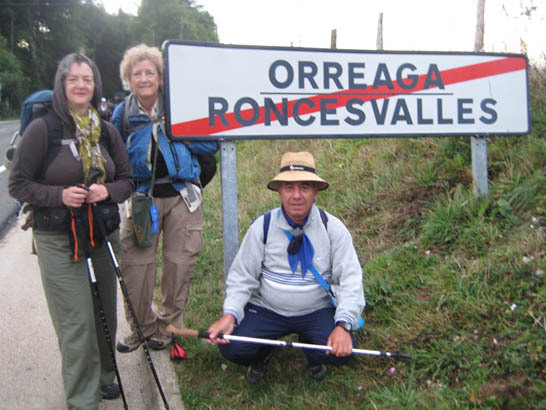 We had an instant community, as all of us were undertaking the same quest to reach Santiago; we were recognisable to each other by the backpacks and walking clothes, and many people tied the scallop shell symbolising St James on their packs as an additional token. We were united by the common daily concerns of sore feet, the need to find daily food and accommodation, and coping with whatever weather happened that day. Physical concerns were not what made the pilgrim community special, it was their attitude to life that stood out. 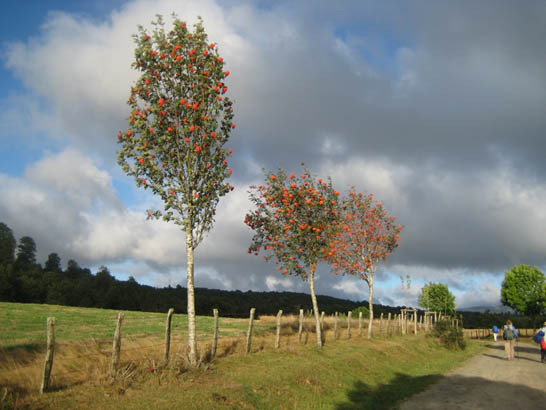 Simply by being on the Camino it could be assumed the other people had a similar approach to questioning the big things of life, an interest in spirituality and a desire for self-transformation. I had many conversations when I fell in step with a complete stranger for a short period of time, and with minimal preamble, would discuss philosophy, human rights, history, art or culture, share ideas or insights, even personal motivations or traumas, then move apart as we walked at different speeds. Another pilgrim was a spiritual sibling and it was a safe place to explore deep things. If you happened to meet up again it was like greeting a long lost friend, and conversations would be resumed and connections built on. The PhD journey is similar in many ways. The journey is solitary and intensely personal, but there are others who we encounter on the way who share the same quest, have the same desire for knowledge of universally understood insights, self understanding, and seek to achieve a major goal. We eagerly connect with fellow travellers, share tips and ideas about strategies and pitfalls to avoid, and intersect meaningfully with culturally different strangers about specialised areas of common interest. Those connections are precious, and give great support and encouragement to keep going. Modern technology has made sharing the PhD journey much easier. Through the thesiswhisper blog, and hashtag #phdchat on Twitter I have made friends, given and received support, learned about software and study tips from people all over the world who I would not have met otherwise. The desire shown to meet these fellow travellers in person, and the happy and excited tweets that result when they do, is an indication of the strength and value of these relationships. Every journey is solitary, but the friends we make along the way are what carry us through. I’m feeling much love for both my fellow pilgrims and fellow PhD tweeps right now. Buen Camino (a wish for a good walk, but also an approach to a thoughtfully lived life) to all. PS: I made it to Santiago, and even to Finisterre, the end of the earth, with an increased self confidence and self awareness. Still carrying some of the baggage, but it is lighter now. Though not sure that my PhD offers much in the way of people friends, this blog however is definitely my PhD friend. I find it very supportive. Better than my panel actually. New ideas lately, especially for software, are responsible for helping me, finally, to climb in to my work. Actually think I may not be here otherwise. Thanks, reezam. I agree that online connections, such as this wonderful blog, play an important role in helping us to learn, be connected, and stay inspired with the PhD. I hope you find some PhD people friends, if you want them, because I know my PhD friends are precious for their companionship, support, shared knowledge, and increasingly, career opportunities such as shared conference presentations. What a wonderful metaphor the pilgrimage is for the PhD process. Alone but our different tracks leading us to our common destination. I hope as well to meet and share my experiences of the up and downward slopes with other seekers while keeping to my own rhythm and integrity. Thank you Linda – I think we all feel a little lighter because of your post. Lovely post Linda! 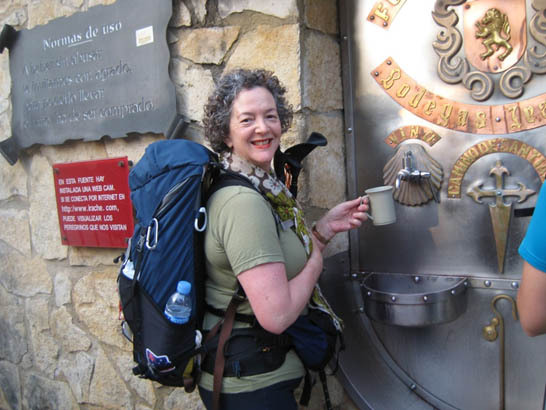 You’ve left me even more excited about doing my Camino (booked for May!) and, with any luck, my PhD also! Buen Camino to you too Linda. A lovely post giving me a metaphor that really resonates with my PhD journey. Nice one Linda – an apt metaphor although at times I don’t feel much spiritual connection with the PhD journey and often yearn to be out on a long bushwalk rather than sitting at a desk! 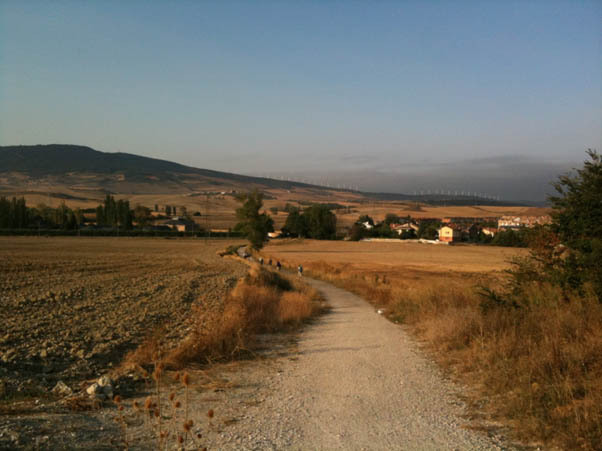 I would love to chat to you about that Camino pilgrimage trail as I would like to do it when I have finished my PhD. I have had this post bookmarked for some time, as I have a fascination with the Camino, along with the wonderful early music common at the time when the route was in its heyday! People often walked the path for a specific reason, and likewise felt a sense of accomplishment once they reached their goal. I like the idea of considering the doctoral experience as a pilgrimage as well. Tell me, what was your experience like when you reached the end — what if anything differently did you find about yourself? Is it what you expected when you started off, five weeks earlier? Have you experienced something similar while engaging in the doctoral trek? I agree with you about having support along the way, and while this is related to my own doctoral research journey http://silenceandvoice.com/doctoral-thesis/ I find that my own support and community has also developed along the way, often without my realizing it was happening. Nice to see something similar with your own pilgrimage. Avec plus de 50 th茅芒tres de performance, 12 terrains de golf, quatre parcs 脿 th猫me, trois lacs, et plusieurs mus茅es, attractions vari茅es, une pl茅thore de centres commerciaux, de nombreux restaurants et des centaines de logements, y compris les h么tels, motels, centres de vill茅giature, chalets, chalets, condos et les terrains de camping, il n’est pas 茅tonnant que Branson, Missouri est une destination de vacances am茅ricain majeur. Branson offre de nombreuses possibilit茅s uniques au-del脿 de la Silver Dollar City bien connu et des musiciens, comme le monde la premi猫re aventure 5D interactif d’horreur dans le ch芒teau du Chaos et visites de la canop茅e par Aventure Tyroliennes de Branson. Ce bed and breakfast dispose d’un package ", qui comprend deux nuits dans une suite de lune de miel et le choix des bons pour les repas et le th茅芒tre. Assurez-vous d’enregistrer samedi soir pour un d卯ner aux chandelles sur le Scenic Railway Branson. S’il est impossible de faire le train du samedi soir , un autre havre romantique est la. avec une vue imprenable, la nourriture excellente et le service attentionn茅, il n’est pas 茅tonnant cette auberge a gagn茅 de nombreux prix, dont celui du meilleur restaurant pour un d卯ner romantique 2009 et 2010, Meilleur Repas en plein air 2009, Best View 2008 et 2009 et Meilleur Branson restaurant 2006 2010.